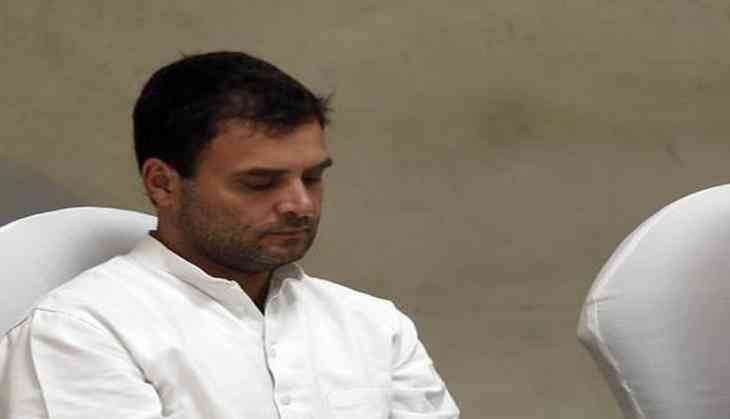 Congress supremo Rahul Gandhi has reached Mumbai and will appear before a court in Bhiwandi, adjoining Thane district in a connection with Defamation suit filed against him by a Rashtriya Swayansevak Sangh (RSS) worker. Rahul Gandhi will appear before the court at Bhiwandi in Thane at 11 am today, a Congress leader earlier said. Gandhi has arrived in Mumbai on Tuesday on a two-day visit to Maharashtra. On May the Bhiwandi court had asked Gandhi to appear before it to record his statement in the defamation case filed by RSS worker, Rajesh Kunte in 2014. After watching one of election speech of Rahul Gandhi at an election rally in which he had claimed that the RSS was behind the killing of Mahatma Gandhi. "The RSS people had killed (Mahatma) Gandhi," the Congress president had allegedly said in the rally. The court had heard the arguments on Rahul Gandhi's application on June 10. The Court had asked for a detailed recording of evidence besides summary trial and had postponed the court proceedings till June 12. The court had said that it will pass an order on the application on June 12 and the petition of the defendant (Rahul Gandhi) will also be recorded and they will be present in the court on this day. During his two-day visit to Maharashtra, Rahul Gandhi is expected to address party workers and interact with its corporators in the Brihanmumbai Municipal Corporation (BMC). Contrary to media reports, Rahul Gandhi's itinerary doesn't mention any meeting with NCP supremo Sharad Pawar, the leader said. "Top leaders (of both the parties) can meet any time. But no such meeting is on the agenda today," he said. "Rahulji will appear before the court in the morning, address party workers in the afternoon and interact with Congress corporators about Mumbai's civic issues," the leader added.